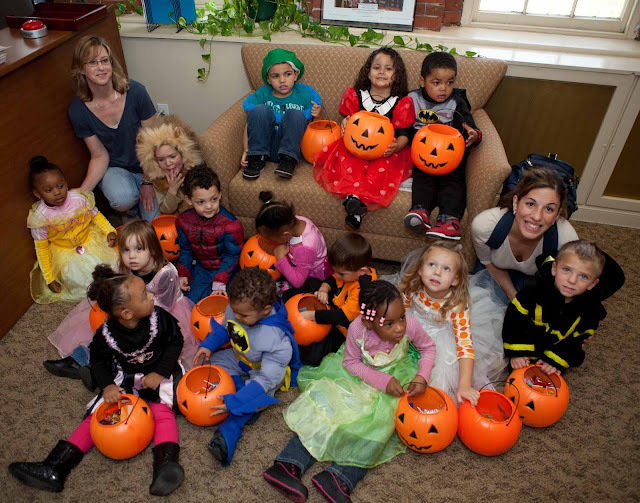 On Halloween, 2012, children from the STCC day care center visited the President's office to receive their treats and have their picture taken. This is a story of two American Colleges; the first is my alma mater and the second where I work. The first has an undergraduate enrollment of 5159, the second of 7023. The first is on an historic campus with the oldest building dating to 1754; the second is on an historic campus opened in 1793 by George Washington. The first has a student body that is 8% African-American and 9% Latino; the second has a student body that is 18% African-American and 24% Latino. At the first tuition is $38,650; for the second, tuition for a full-time student is $5106. The first has an endowment of $17 Billion; the second has an endowment of $5.2 Million. The first has an endowment of $3.2 Million per student; the second, $740 per student. 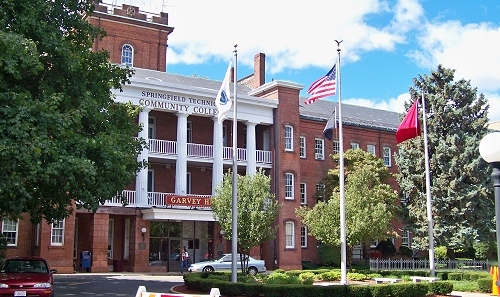 The first is located in Princeton, New Jersey; the second is in Springfield, Massachusetts. If you make a contribution to the first college, you will get a polite thank you. If you make a contribution to the second, you will help change someone’s life. Dear reader, you will have to decide which institution is most worthy of support. College student debt continues to increase at a rate of 5% a year as the Project on Student Debt reported last week that the bachelor degree graduates of the class of 2011. PSD found the 66% of all graduates leave college with debt that averages $26,600. This debt both federal and private loans is a burden on new graduates as they seek jobs in a very difficulty economy. The debt per student varies greatly by state and college from a high of $32,440 for New Hampshire and a low of $17227 in Utah. Massachusetts comes in at 14th from the top with an average student debt of $27181. Because of “reform” of the bankruptcy laws student loans are now not dischargeable, that is an individual who declares personal bankruptcy can have her credit card loans wiped out but not her student loans. Because of this change in bankruptcy law, Nobel prize winning economist Joseph Stiglitz in his book the Price of Inquality argues that student debt is creating “partially indentured servants.” This refers to the practice during American colonial times of individuals agreeing to servitude in the new world for a period of usually seven years in exchange for a loan to carry them to the new world.